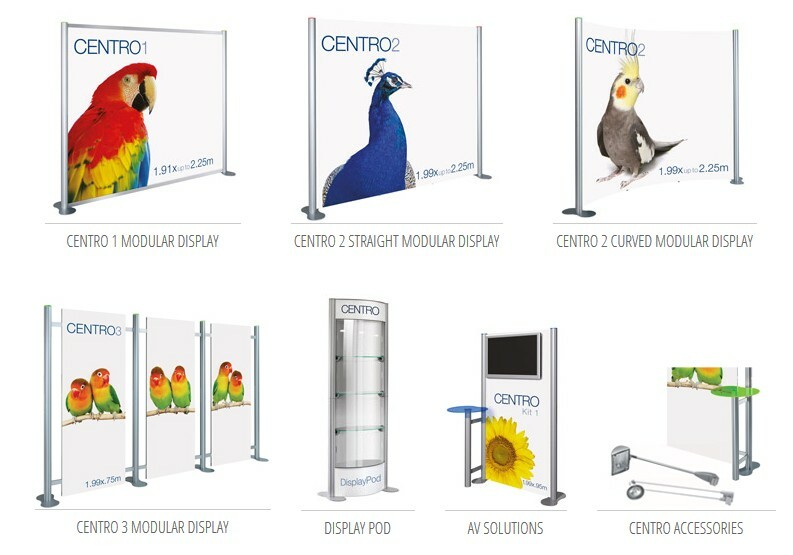 Our Centro range is a comprehensive and totally versatile range of portable, modular displays. They are perfect for exhibitions, conferences or for retail kiosks. When combined, the inter-changeable units can create stunning graphic wall presentations incorporating all forms of multimedia. All our displays are easy to assemble and just as easy to dismantle and pack away, ready for transit and storage in their own custom made carry trolley cases. With a comprehensive range of accessories, the possibilities are endless! Do you need help in choosing the right portable display? Why not call our specialist team on 020 333 200 92 to see how our portable displays could help your ongoing marketing activities.